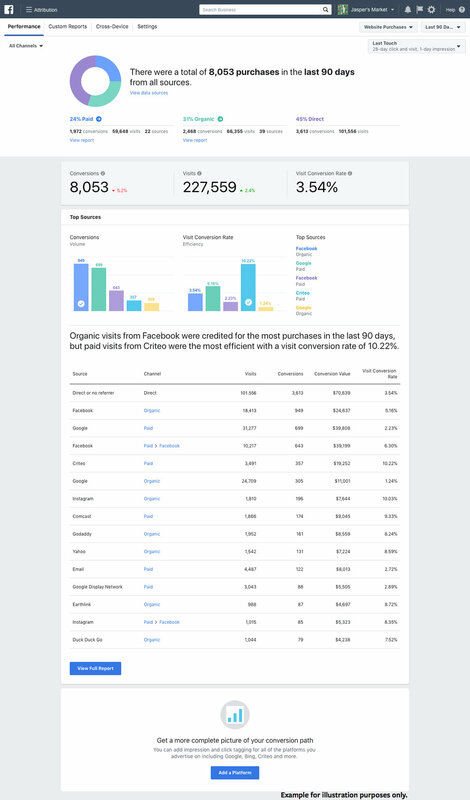 Facebook Attribution, built with a foundation of people-based insights, gives you a more complete picture of your marketing performance across publishers, on and off Facebook, and across channels and devices. See a more complete picture of your cross-device and cross-publisher impact. Assign credit to marketing touchpoints along the consumer journey to understand what's driving your business outcomes.